If you have not heard about PERA or the Personal Equity and Retirement Account you better read this post because this one will do you enormous good in the future. If you’re working for a private company in this country, you must have known that you’re SSS pension benefits when you retire will be pitifully miniscule. You just cannot rely on SSS for your retirement needs. That’s why a lot of working Filipinos save and invests on their own for their retirement. Some people however do not want to save because there’s no incentive for doing so. Investments are almost always subject to taxes such as the final withholding tax on interest, capital gains tax on the sale of bonds and shares, 10% tax on cash and property dividends and regular income tax. This is about to change with the coming of PERA next year (2012). PERA law or the Republic Act 9505 was passed into law in 2008, implementing rules and regulations issued in 2009 and tax rules finalized just this week. Accordingly, financial institutions will begin to get approval for their PERA investment products on the beginning of next year. So we should have those PERA accounts setup by next year to take full advantage of this law. Maximum annual contribution is P100,000. If married, each of the spouses is entitled to make the maximum contribution totaling P200,000. 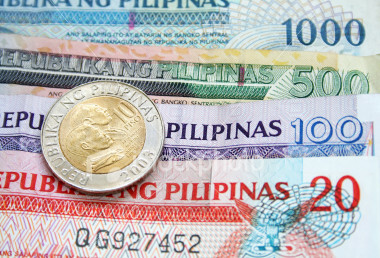 For Overseas Filipino Workers, its double that or P200,000 each. Receipt of proceeds may either be in lump sum, pension for a definite period or lifetime pension. Withdrawal is only possible upon attaining the age of 55 years with minimum of 5 years contribution. Early withdrawal is subject to penalties but with exceptions stated in the implementing rules and regulations. All income earned from the investment and reinvestments of the maximum amount allowed are tax exempt. A contributor is entitled to a 5% tax credit of the amount invested. Meaning if you invested the maximum contribution of P100,000, you can deduct P5000 from your tax liability. – You should take note of this one because some people confuse tax credits with tax deductions. Tax deductions are reductions in taxable income while tax credits are direct reduction of the tax due. In other words you subtract the tax credit of P5000 from the tax amount that you need to pay and NOT on your taxable income! Your private employer will be allowed to contribute to your PERA account and this amount will be allowed as a deduction from the employer’s gross income as an incentive to lessen their tax liability and provide employee benefits at the same time. A few Filipinos not used to investing their money for the long-run might think twice about PERA because of what happened in the pre-need industry not too long ago. This widely covered fiasco caused a lot of people to lose their investments for their children’s education. Apparently, the pre-need industry wrongly forecasted the increase in tuition fees which caused their funds to dry up. Even with the amount of regulation that will be put in place for PERA, I would still be cautious about the choice of financial institution and the type of investments. If you are too worried about losing your money, I would advise that you avoid investment companies regulated by the Securities and Exchange Commission (SEC) but opt for those under the Bangko Sentral ng Pilipinas (BSP) and the Insurance Commission (IC) instead. The SEC just doesn’t have the track record of doing a good job regulating financial companies as was evident in what happened on the pre-need issue. It may be because their hands are full with all the other companies they need to regulate unlike the BSP and IC which only concern themselves with banks and insurance companies, respectively. These apprehensions, however, should not paralyze anyone with fear from investing the money they save for their retirement. If you would rather save your money in a bank or under your bed, inflation will surely eat up its value and it would not be worth much when your retirement comes. I wrote before that we ignore planning for our retirement at our own peril. Taking advantage of the PERA law will avoid the perils that I warned about.